House left with first coats up on the walls. The Sorg Opera House will host its first concert in over five years with “Celebrate the Sorg,” featuring the 60-piece Butler Philharmonic Orchestra. 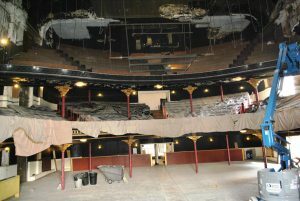 Although renovations by the Sorg Opera Revitalization Group are still underway, “Celebrate the Sorg” will allow concertgoers to experience the restoration of the theater’s interior and acoustics. With the drop ceiling down, the second balcony was revealed for the first time in over 70 years. The concert will feature works by Gershwin, Ellington, Anderson, Brubeck and more, with music director Paul John Stanbery leading the newly rebranded Butler Philharmonic Orchestra. The concert also will feature vocal selections by soprano Jessica Rivera, who this summer played Musetta in Cincinnati Opera’s production of “La Boheme,” and baritone Thomas Dreeze, who will debut with the Cincinnati Symphony Orchestra in “Pelléas et Mélisande” in October. After the performance, the BPO and SORG will host a reception for all ticket holders. The concert is sponsored through a partnership with the Kettering Health Network based in Dayton. Much of the funding from the network’s signature sponsorship will benefit SORG’s renovation and awareness efforts. 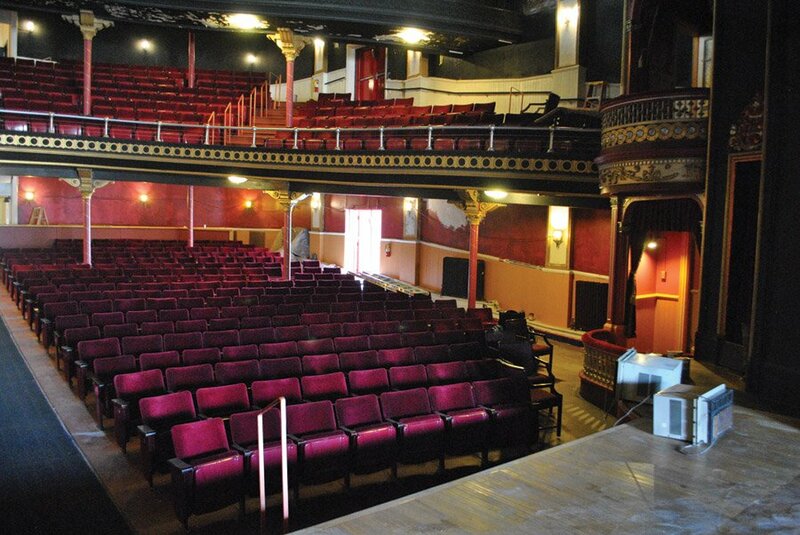 The Sorg Opera House is owned and managed by the Sorg Opera Revitalization Group, an all-volunteer nonprofit established to provide programming and services for Middletown and the surrounding region. For nearly six years, Middletown’s historic Sorg Opera House has stood silent. A chance meeting between Maestro Paul John Stanbery and internationally recognized soprano Jessica Rivera, who lives in Middletown – plus a tour of the Sorg Opera House – provided the catalyst for the “Celebrate the Sorg” performance. During a tour of the 1891 opera house, Stanbery asked Rivera to sing from the stage while he evaluated the revitalized acoustics. The result was an enthusiastic desire to produce a concert, despite the continuing renovations. Such an event would allow the public to see and hear, for the first time in over 70 years, the restored sightlines and acoustics of the opera house as it was originally designed. Led by the Sorg Opera Revitalization Group, the renovation has included the removal of a drop ceiling that obscured the second balcony and the installation of over 800 donated seats from Cincinnati’s Music Hall. Other changes include new entry doors, balcony railing enhancements, major plumbing repairs and restroom renovations. A photographic catalog of the repairs is available on the Sorg Opera House Facebook page.